Is John Tsang a ‘miser’? 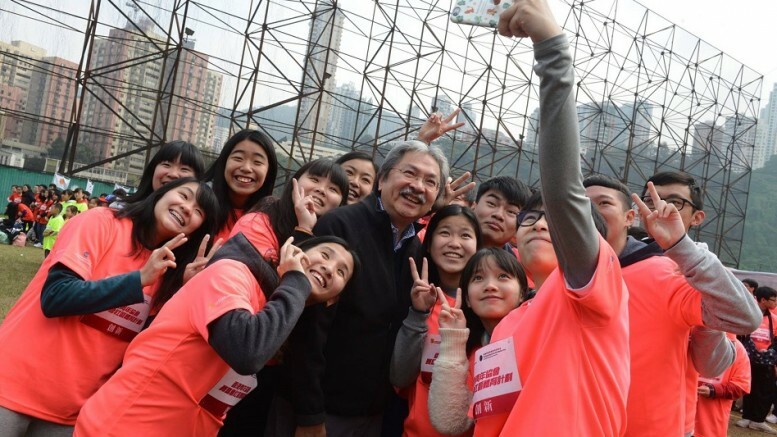 Financial Secretary John Tsang Chun-wah is no miser when it comes to mingling with the young people. Anyone who are familiar with Hong Kong politics know there are two lines of thinking over finance management in the Government. One line of argument is that the Government should not become a “miser,” doing nothing with the hundreds of billions dollars of reserves. They say the Government should spend more on housing, welfare and elderly welfare. Another school of thought is that prudent finance management is a principle stipulated in the Basic Law. In view of the city’s narrow tax base, reserves will be depleted ultimately if spending continues over a long period of time without control. Hong Kong will then slid into structural deficit. Financial Secretary John Tsang Chun-wah is a champion of the latter line of financial prudence. He is the “miser” in the administration. But does that sound convincing? Tsang delivered his first Budget in the 2008/09 financial year. This year’s is his ninth Budget. In the past eight financial years, the Government has recorded surpluses with no exception. The total surpluses are HK$1.4 billion, HK$25.9 billion, HK$75.1 billion, HK$73.7 billion, HK$64.8 billion, HK$12 billion, HK$73.5 billion, HK$30 billion. In the just-announced 2016/17 Budget, Tsang has forecast a HK$11 billion for the next 12 months. A new administration is scheduled to be inaugurated soon by the time he delivers his next, or 10th, Budget next year. As Financial Secretary, he will no doubt deliver a surplus budget. During his 10-year stint, he brings surpluses to the treasury every year. That must be a record! There will be “surplus” if the Government does nothing and that the money left unused has become “surplus.” That can be seen as an act by a “miser.” Let’s take a look at the share of public expenditure in gross domestic product (GDP) in the past nine years. They are 19.38%, 18.51%, 18.04%, 19.92%, 19.62%, 21.74%, 19.83%, 18.1%, 19.2%. It is worth noting that the relevant figure in the 2007/08 financial year, which came before Tsang took office, is only 15.3%. Prudent finance and balanced budget are the cardinal principles of Hong Kong’s budget over a long period of time. There only five budget deficits between 1947 and 1997. But there have already been five budget deficits between 1997 and 2004, in just seven years. The ratio of public expenditure over GDP is rising. The treasury has seen surplus every year after the financial crisis in 2008. But public expenditure has not shrunk. What do those who are unhappy with the “miser” approach want the Government to do for handling the surpluses? Do they think the principle of balanced budget has become outdated? Tsang’s budgets have been criticised for a lack of shining ideas. But the perspective of assessment on public accounts management, his performance record is hardly bad. Chan King-cheung is a veteran journalist. This is a translated version of his regular column published in the Chinese-language Ming Pao on March 1. Be the first to comment on "Is John Tsang a ‘miser’?"